Helical twist nails fix timber battens to masonry providing a fast and easy method of fastening of wooden frames and studs to brick and block walls. 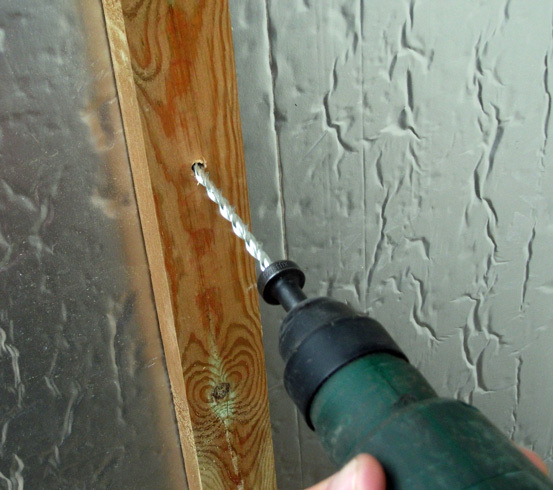 Use a 4mm to 5mm pilot bit, depending on the hardness of the masonry, and simply drive the zinc-plated nails through the wood and into the wall with the SDS hammer tool until the nail is counter sunk. 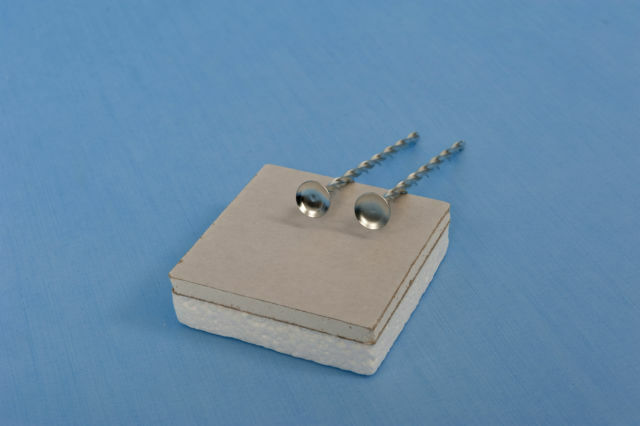 No pilot hole is needed if fixing battens to Celcon, Thermalite or lightweight thermal blocks. 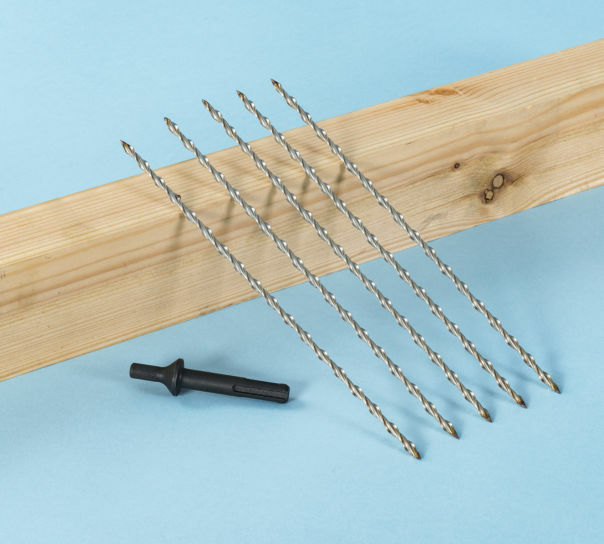 The twist nail corkscrews through the timber, which should be at least 25mm deep, and self-taps into the brickwork or blockwork to deliver a quick, reliable and cost effective method of battening out for dry-lining. Select from 75mm, 100mm, 125mm or 150mm to suit application. These patented twisted nails are sold in packs of 100 complete with a FREE SDS hammer drill adaptor.